NEW CONSTRUCTION!! 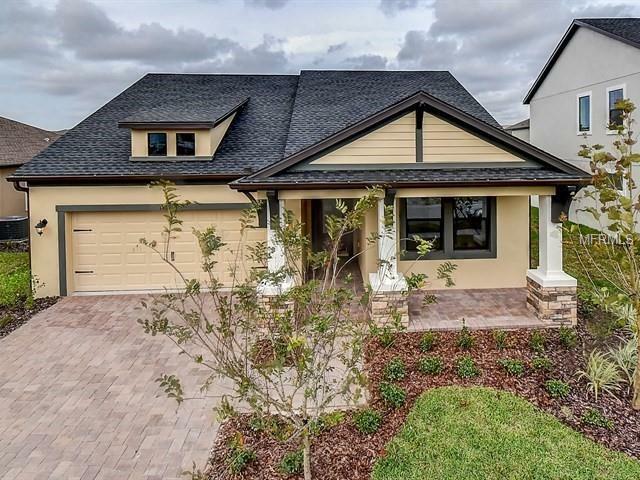 The Daytona II floor plan is a spacious 1 story home with 4 bedrooms and 3 baths. Enjoy entertaining family and friends in the wide open great room/kitchen floor plan which features a French door leading to your lanai. Take pleasure in waiving to your neighbors from your beautiful front porch. Your family will will enjoy the community pool, splash pad and parks! Relish the outdoor living that Starkey Ranch offers our families the outdoor living that Starkey Ranch offers our families!